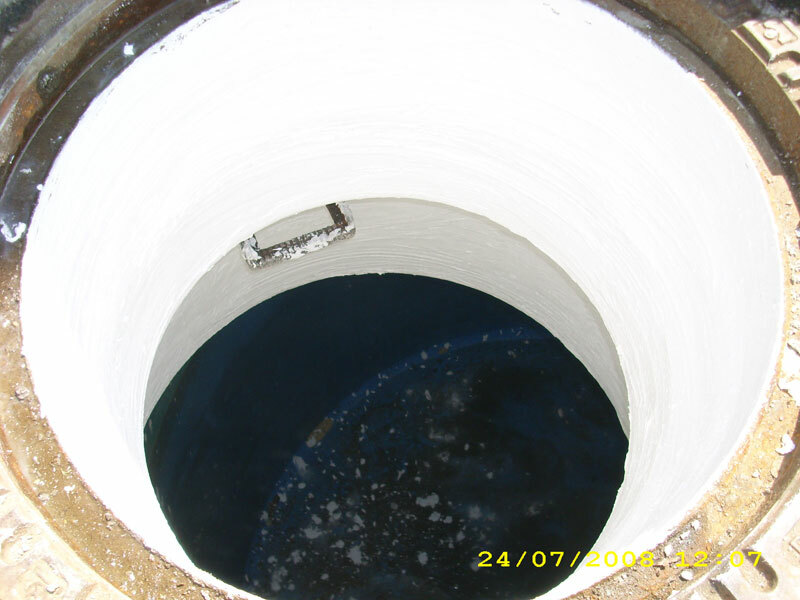 Water tight, bi-component finish, made with selected cementitious, inert, fine coursed binding agents, special additives and synthetic polymers dispersed in water. By mixing the two components, it is possible to obtain a mix easy to apply, even vertically up to 2 mm of thickness, in one coat only. Thanks to the high content of synthetic resins and their quality, the hardened layer of IPA DS ELASTIK retains its elastic qualities in all environmental conditions and it is fully water tight, up to a positive pressure of 1.5 atm. It is able to protect the surface onto which it was applied from the chemical aggression of defrosting salts, sulphates, chlorides and carbon dioxide. IPA DS ELASTIK perfectly adheres to all concrete surfaces, masonry, ceramic and marble, provided that these are solid and properly clean. Water proofing and protection of concrete structures, plasters, concrete screeds. 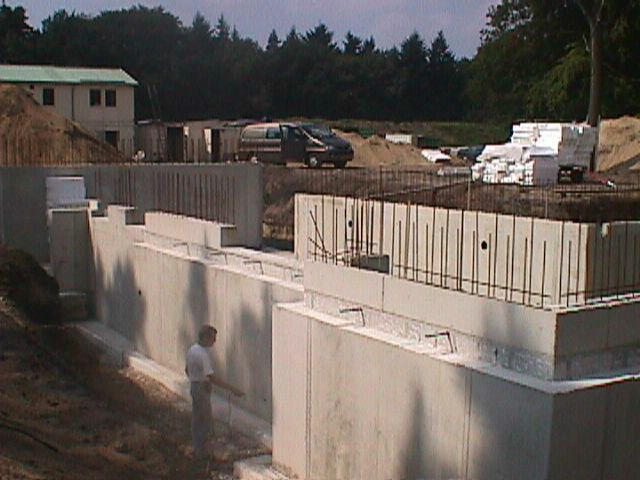 Water proofing of ground walls or concrete articles to place underground. Application of a thin elastic layer on concrete structures with thin sections, also subject to slight deformations under load (e.g. pre-fabricated panels). Protection of concrete piers and planking, road and rail viaducts and structures from the penetration of carbon dioxide, which boast an unsuitable plate block thickness. Protection of concrete surfaces that may come into contact with sea water, salts such as sodium or calcium chloride and sulphate salts. 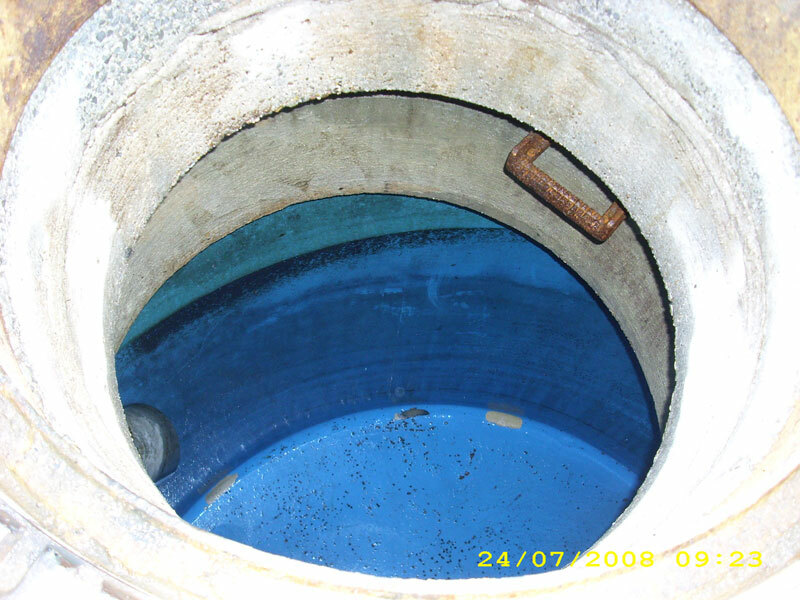 Water proofing of concrete basins to contain waters. Protection of plasters or concrete that boast cracks caused by shrinking phenomena, against water penetration and aggressive agents in the atmosphere. For the protection and water proofing of concrete structures and elements (e.g. piers and beams of road and rail viaducts, cooling towers, chimneys, under-bridges, ground walls, structures in contact with sea water, basins, swimming pools, channels, dams' faces, pillars, risers of terraces, etc). The surface to treat must be solid and perfectly clean. Remove fragile parts and possible traces of dust, grease and demolding oils through sand or washing with pressure water. In case the structure to water proof and protect with IPA DS ELASTIK is degraded, remove the damaged parts through manual or mechanical demolition, or by using a hydro-demolition or hydro-ripping procedure. These two last techniques, which foresee the use of water under strong pressure, are particularly suggested since the reinforcing irons are not damaged and the structures are not subject to vibrations which may cause micro-cracks in the adjacent concrete. After having completely removed rust through sanding, restore by using pre-packaged mortars. The absorbing surfaces to treat must be previously wet with water. • PLASTERS: cement plasters must be suitably settled (7 days per cm of thickness), they must adhere to the support, be resistant and free of dust or paints of any type. The absorbing surfaces to treat must be previously wet with water. Pour component B (liquid) in a suitable clean container; then add component A (powder) slowly, mixing mechanically. Mix IPA DS ELASTIK accurately for some minutes, making sure to remove the powder which is not perfectly amalgamated from the walls and the bottom of the container. Mixing must take place until the mix is homogeneous. Use a mechanical stirrer for this operation with a low number of revolutions in order to avoid an excessive absorption of air. Avoid to prepare the mix manually. The mixed product must be applied within 60 minutes from mixing. Then smooth IPA DS ELASTIK completely on the surface prepared, using a smooth spatula and then apply a second coat on the first fresh layer, so as to obtain a final thickness not lower than about 2 mm. After applying IPA DS ELASTIK, wait for at least 5 days to settle prior to lay the ceramic. In good climatic and temperature conditions, on dry support, this period can be reduced up to 24 hours. The application of IPA DS ELASTIK through spray with a plaster sprayer equipped with nozzle for smoothing, can be carried out with a minimum thickness of about 2 mm. In case a higher thickness is required, IPA DS ELASTIK must be applied in more coats. The over-application procedure must be performed when the previous layer is dry (after 4-5 hours). In case IPA DS ELASTIK is used to protect piers and bridges’ planking, rail under-bridges, building facades, etc, this can be painted with products made with acrylic resins dispersed in water. Do not use IPA DS ELASTIK for finishes of high thickness (greater than 2 mm per coat). · Do not apply IPA DS ELASTIK at a temperature lower than +5°C. · Do not add cement, inert agents or water to IPA DS ELASTIK. · Protect from rain or accidental water during the first 24 hours after laying. · For large size terraces or roofs, in case IPA DS ELASTIK is exposed, vapour exhaust chimneys must be envisaged, which must be properly located based on the humidity in the sub-layer (in general every 20-25 square metres). This precaution is essential when IPA DS ELASTIK is applied onto particularly absorbing sub-layers that retain humidity, such as screeds lightened with polystyrene or foamed clay. No particular precautions must be adopted with temperatures close to +20°C. During the hot season, the material must not be exposed to the sun prior to being used (powder and liquid). After application, in particularly dry, hot or windy climate conditions, it is advised to protect the surface from quick evaporation by using covers. IPA DS ELASTIK is very resistant to chemical aggressions, as documented by the tests described below and protects the concrete effectively against carbonation and therefore the reinforcing irons from consequent corrosion. IPA DS ELASTIK protects the concrete effectively, thus preventing the salt to attack and damage the mix. Advises on safety: During the work phase, please wear protective cloths, glasses and gloves. Do not smoke, drink or eat when working, and avoid the formation of dust. In case of contact with skin or sprays in the eyes, rinse immediately with clean water for at least 15 minutes. Keep a bottle containing sterile solution handy for rinsing the eyes. Afterwards, see an oculist. Please follow carefully the safety data sheets relative to the use of material. The products are manufactured with the best raw materials found on the market in order to obtain a high quality product. Our warranty concerns the quality of the product and not the applications, over which we have no control.